What’s in a Drop of Blood? We are starting our human anatomy unit in 2018 with a look at blood! Blood is the life force of all people and animals. Tis the season for homeschool holiday deals! 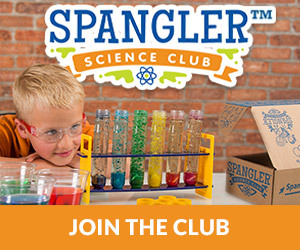 Everything from homeschool curriculum to dvds, classes, and workbooks, to educational subscription boxes for the kids. Are you ready for Christmas 2017? With Christmas right around the corner, it’s time to share this incredible list of gifts made specifically for homeschoolers. 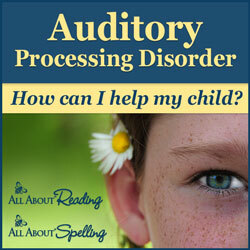 I’ve had my suspicions about my son having dyslexia since he was 2, though at the time I didn’t know what to call it. I signed him up for a fun four week class at the city which was interactive, musical, and just plain playful with running, jumping, and dancing. What does comparing grocery store prices have to do with homeschooling? It has everything to do with homeschooling! Where we shop determines how much money we spend on groceries and how much we have left over for curriculum, supplies, classes. Continuing along in with our Early American History studies, the kids and I embarked on the American Civil War. It was a terrible war, taking more lives than any other American war. Aidan & Leah is a new comic series I’m beginning this year, starring a typical homeschool family and their daily life. We all have those awkward, “Why aren’t your kids in school?” and “How will the kids be socialized?” moments. Early one morning, several months ago, I was sitting up in my bed getting ready to take my warm toes out from under the covers and start the day. There were my two children snuggled up on the floor amid the unfolded piles of clean laundry. Today we went back to ancient Mesopotamia and took a look at the history of writing. Where did it come from? What did it look like? We’re making our way through The Usborne Book of Discovery, which is a fabulous book that documents inventors, scientists, and explorers throughout the history of the world. We’ve started off with Inventors and what they invented. If you’ve never heard of Exodus Books, you may want to check them out. 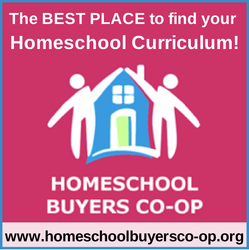 They sell both new and used homeschool curriculum, in addition to a host of other books, board and card games, literature and other homeschool material. They stock over 30,000 products in their inventory! This is the first of the Homeschool Funnies for This Homeschool Life blog. How does your schedule work? Does your schedule look more like the left or the right column? I remember when I was in second grade, in public school, the teacher had us each draw a slip of paper from a basket with the name of a state on it. That state would be ours for researching that year. I pulled Wyoming. I sat down at the kid’s school table the other day and reminisced about the past year. All we have accomplished in reading and writing and the struggles we went through in math. Through the tears, whining, and frustration, there were days of joy, wonderful Ah-Ha! moments, and accomplishment. What is a Maker? Can My Child Be One? Have you ever heard someone use the term “Maker” and didn’t know what they were referring to? Simply put, a Maker is someone who makes something. Easy enough, right? There’s a little more involved. In our study of slavery, we focused on the traditions of Africa, games that the children played and their escape on the Underground Railroad…. The kids learned to classify animals last week into their major groups- Mammals, Reptiles, Amphibians, Fish, Reptiles, and Invertebrates. I found five of them from here. We pulled out all their Toob animals and set the cards out. We went over what type of animals went into which group. We made a trip to NCAR with the homeschool group a few weeks ago. They were talking about the sun and the light spectrum. The kids also got to tour the facility which is open to the public everyday. NCAR is set up on the foothill overlooking Boulder and wow is it beautiful up there. My Little McQueen wanted an American Revolution themed birthday party this year. Yes, really! Ever since the 4th of July, he’s been fascinated with the revolution, the battles fought, men involved and the American flag. The Roanoke and Jamestown Colonies were the first English colonies in the new world. The people of Roanoke Colony ultimately vanished into history. Their fate is still being deliberated today with some believing they were killed while others believe they went to live with the Indians. The Jamestown Colony had a rough start, but didn’t disappear like their southern companions. Jamestown has the accompanying story of John Smith and Pocahontas. Living History Days is a diamond in the rough. Located along the foothills in Morrison, it is a reenactment of the time and place of the American Revolutionary war. We heard George Washington speak to the crowds. I’ve read about the metamorphosis of caterpillars to butterflies, but have never seen it happen in person. How great God is to have made his creatures transform in such a way! We ordered seven caterpillars (as part of the co-op group) from insectlore.com. First Grade is here for my Little Francesco! It’s not so bad that my soon-to-be six year old is headed for the next grade, though it’s a little sad Kindergarten is over for him.